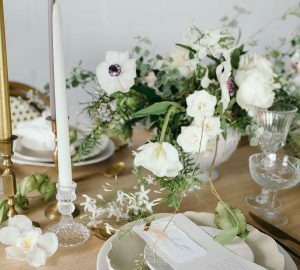 Are you planning a country garden or rustic wedding theme? Then you’ll adore this idea! 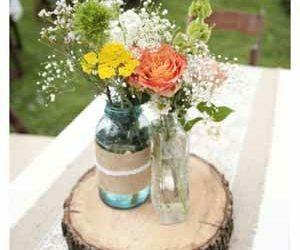 Simply fill a wooden crate with some gorgeous Spring or Summer blooms. 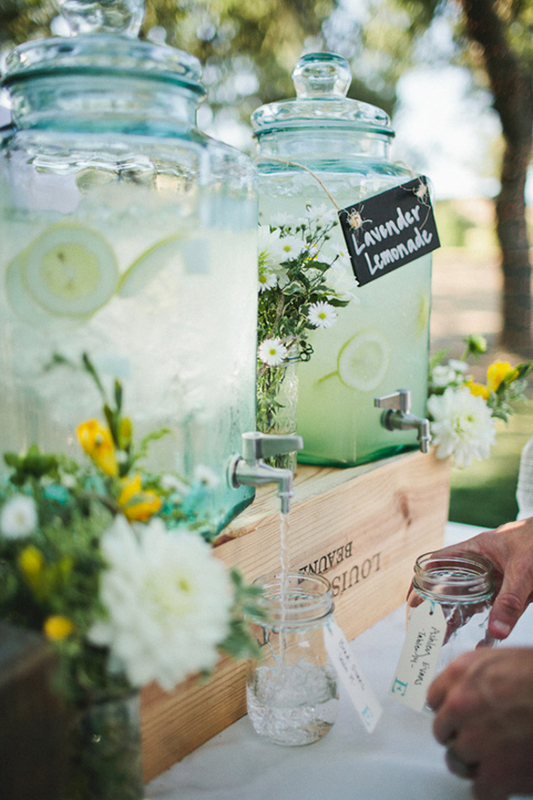 You can place them at the entrance of your wedding venue, dotted around outside or wherever takes your fancy. They’ll look so gorgeous. 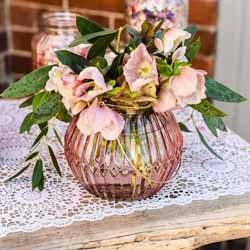 Struggling for ideas for your wedding tables centrepieces? 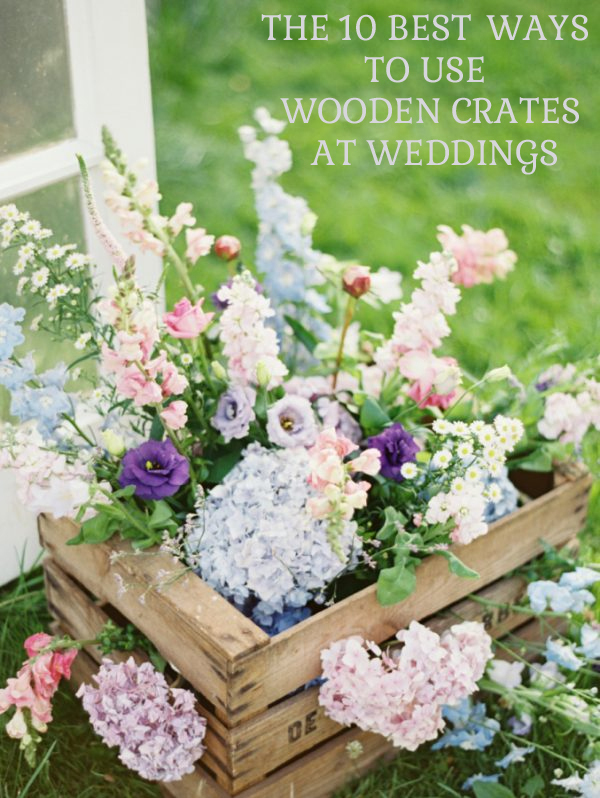 Wooden crates filled with pretty posies also look stunning on your wedding tables. You could personalise your wooden crates by stamping or writing your name and wedding date onto the side. 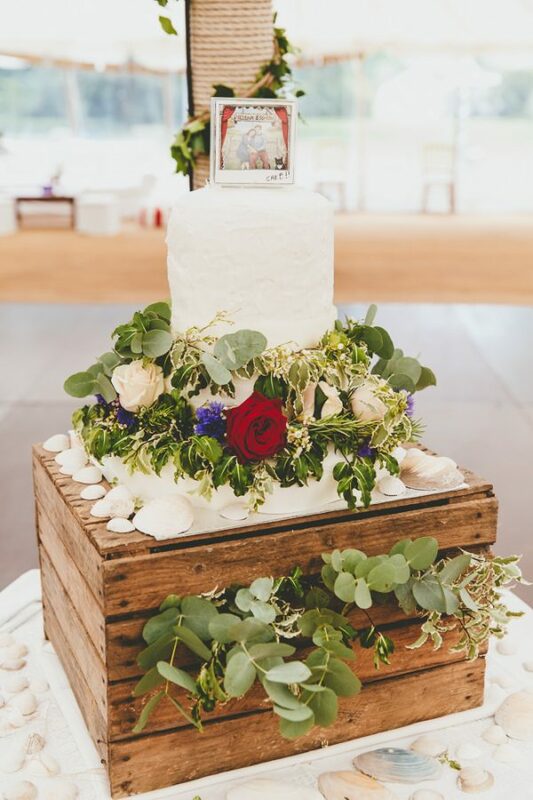 If you’re looking for a unique cake stand, consider using a wooden crate! A lovely alternative to a traditional cake stand, simply turn the crate upside down and place your cake on top. 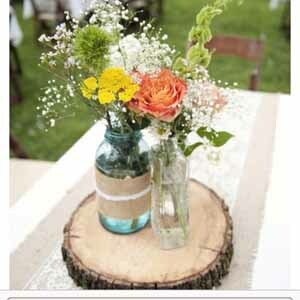 This is a wonderful choice if you’re using wooden crates throughout the rest of your venue decor, and it’ll help your theme to tie in. While we’re on the tasty topic of food, let’s take a look at the rest of your refreshments. You could fill wooden crates with beer or cider – this is will be ideal if you’re dreaming of a relaxed affair in the Summer. Alternatively, you can use wooden crates to display glass drink dispensers. Fill them with cocktails, fruit juice or lemonade for a sizzling Summer celebration. 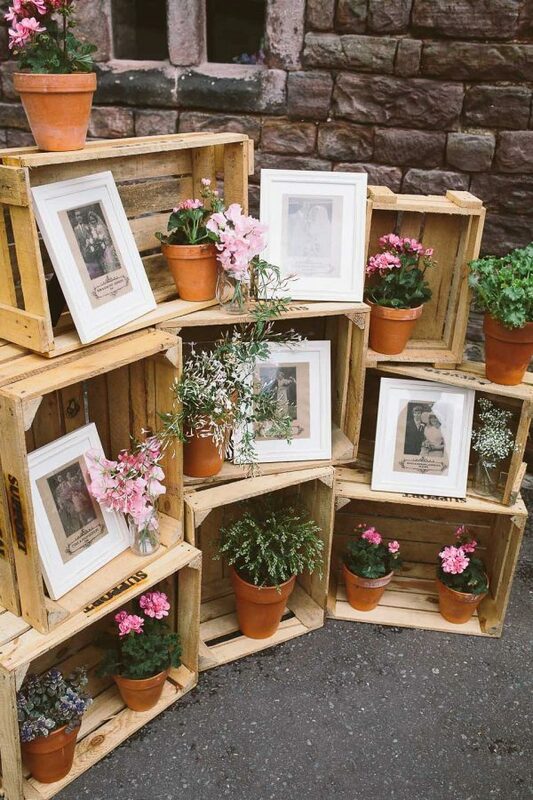 Not only do wooden crates look fabulous, they can be incredibly useful too. 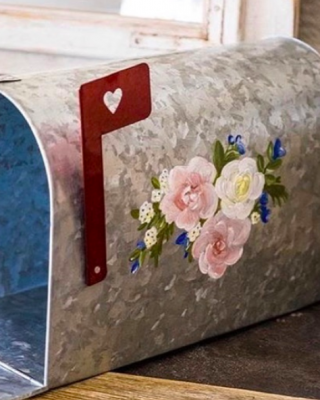 Use them to hold your wedding favours or programs! 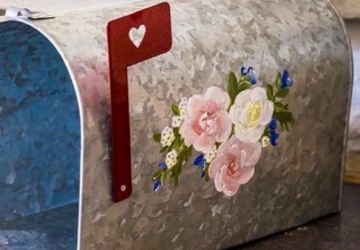 Create some stylish signage to let your guests know where they can find their favours or programs. Alternatively, you could write any information on the wooden crates. 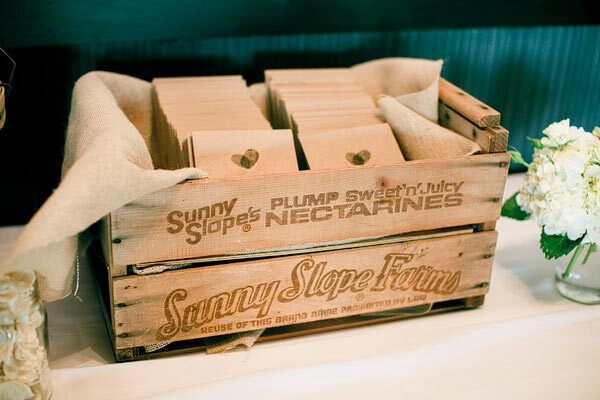 Wooden crates can also be used to hold your wedding confetti. 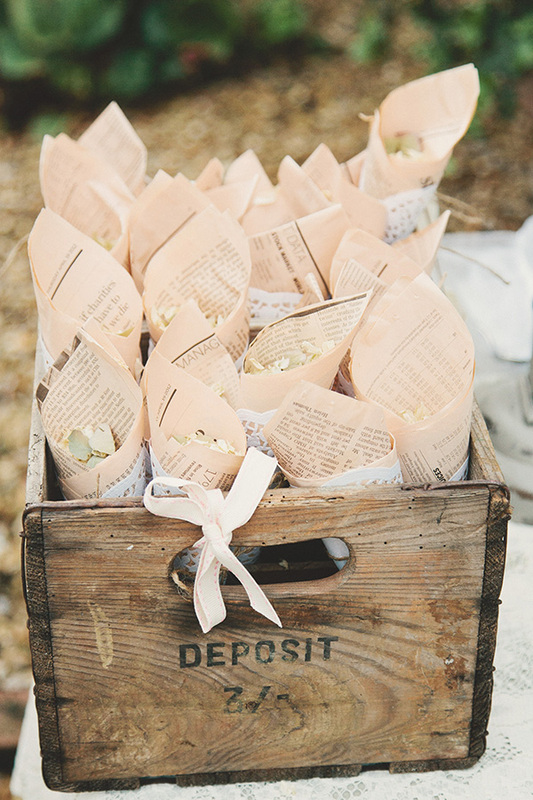 Whether you’re using confetti cones or little bags, your guests will love picking up a bag of confetti to throw over you! 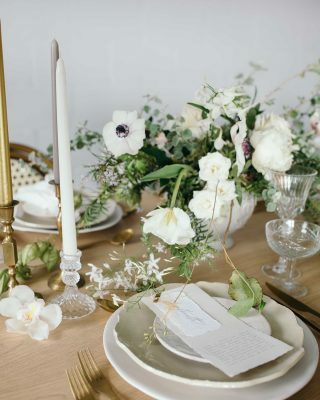 Many wedding guests aren’t sure where to put their cards and gifts after the ceremony. 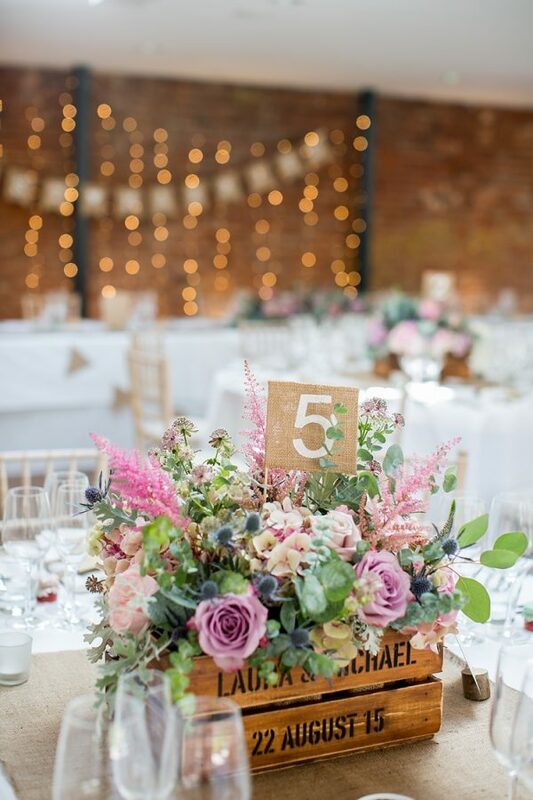 Make it clear for them by draping some cute ‘CARDS’ bunting across a wooden crate. It’s a modern alternative to a card and gift table, and it’ll make sure everything stays safe and out of the way. 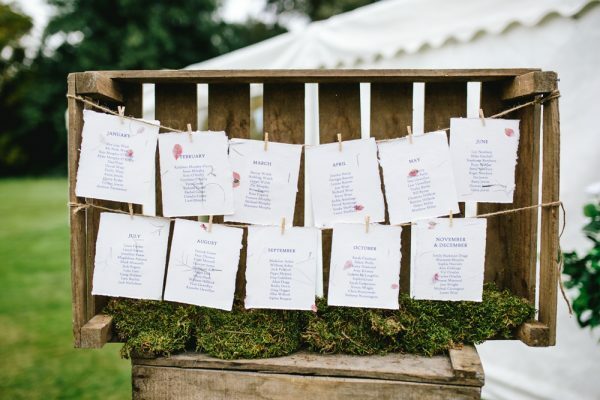 Let your guests know where they’re sitting with a striking table plan using wooden crates. Simply hang a roll of twine ribbon across a wooden crate, and use wooden pegs to hang your seating plan to the ribbon. You could fill the crate with moss or flowers – perfect for a pretty Spring affair! 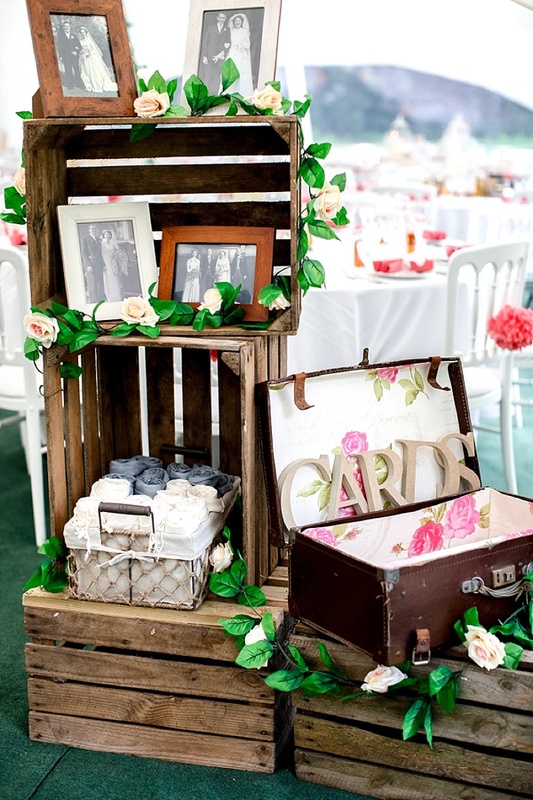 Stack a number of wooden crates on top of one another to create a statement shelf at your wedding. Use the shelves to display your favourite photographs, potted plants or little treasures you’ve collected over the years. 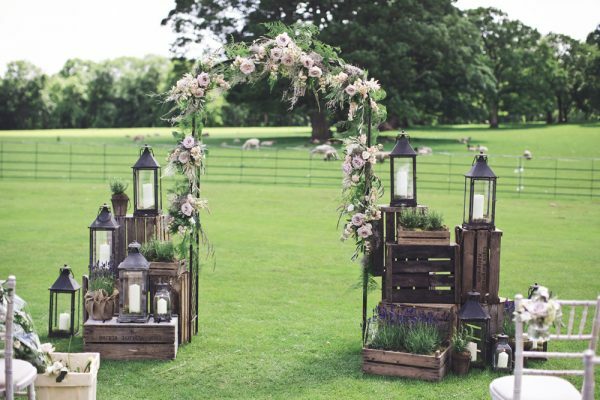 Decorate your ceremony area with lots of wooden crates, blooms and lanterns. 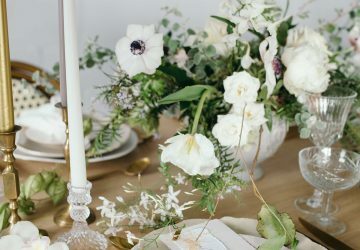 This will make your ceremony space completely unique, and it can easily transform a simple wedding venue. Whether you love the idea of a country barn celebration or a rustic wedding theme, crates are the perfect decor idea to pull off any theme!